Hi, everyone! 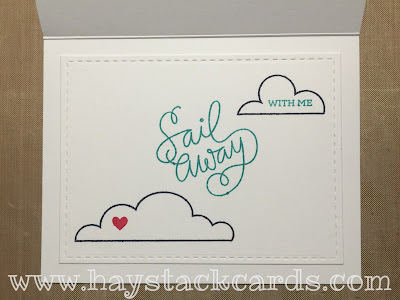 I've been on a roll this week using the Ahoy Me Hearty stamp set from Paper Smooches. 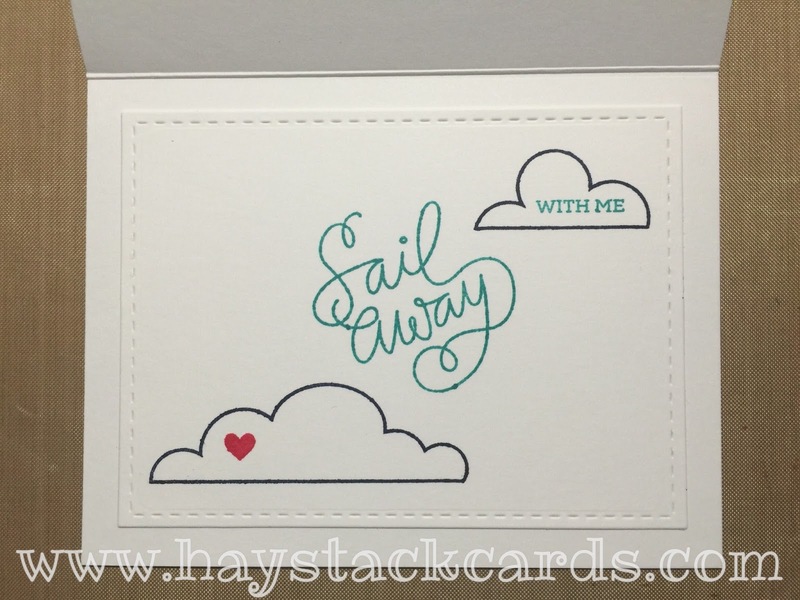 Here's a nautical-themed card for someone special. 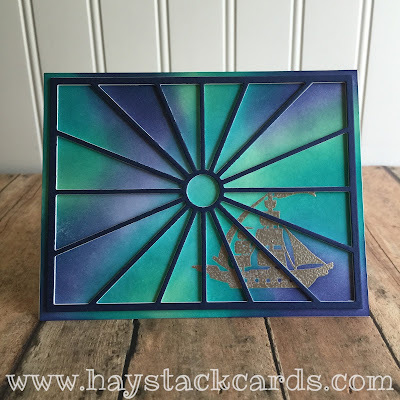 I blended on cracked pistachio, peacock feather, and chipped sapphire distress inks after heat embossing the ship from the stamp set in liquid platinum. 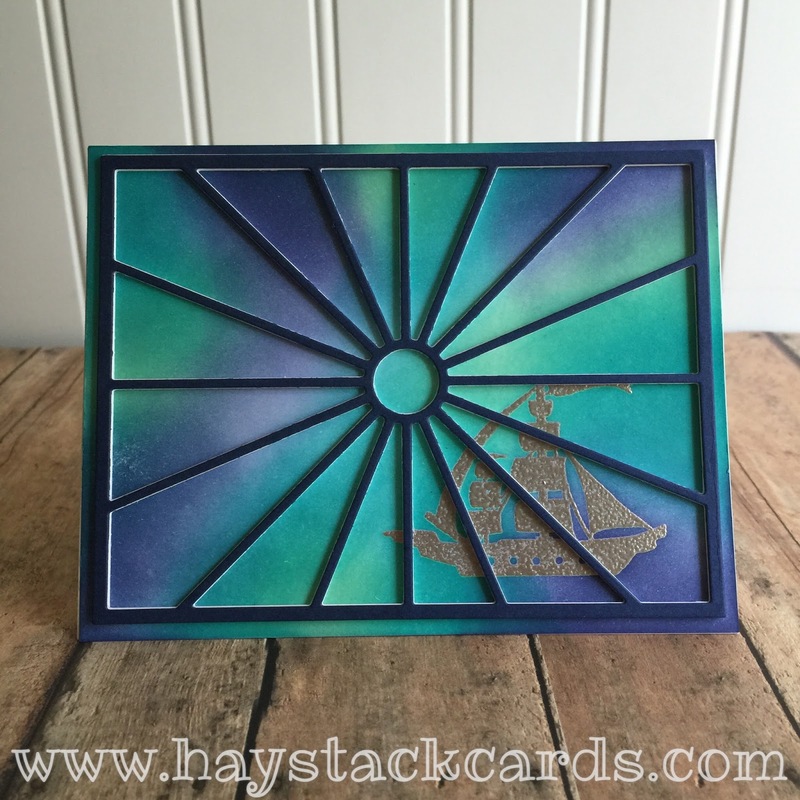 Then, using the Taylored Expressions Ray of Sunshine cutting plate, I die cut 4 layers and secured them together with glossy accents to give the card dimension. 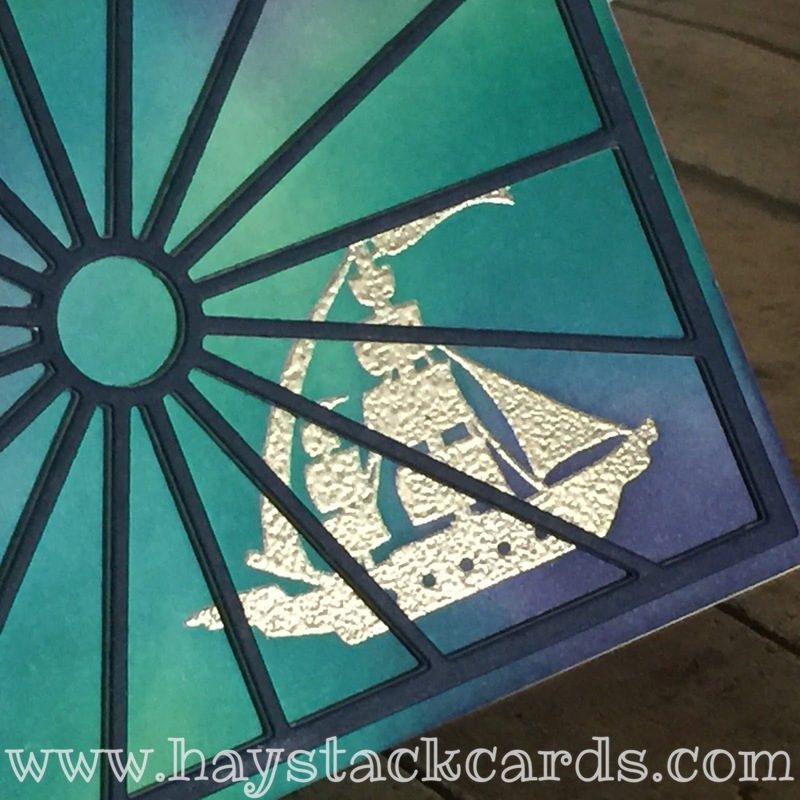 Using multiple layers instead of foam tape gives the die cut much more stability. 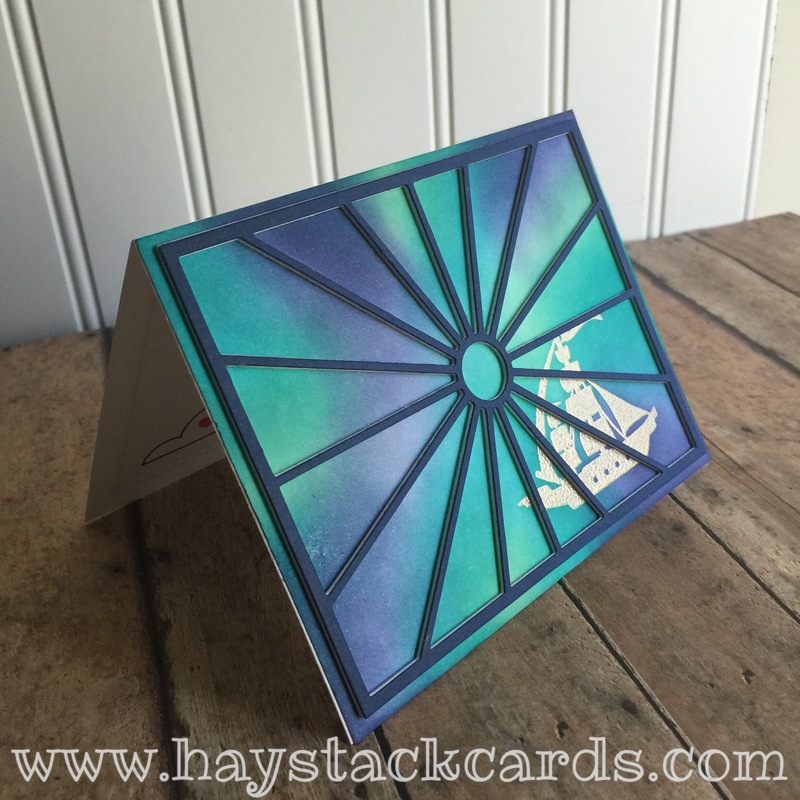 For the inside sentiment, I used multiple stamps from the Simon Says Stamp Sailing set. Your background is beautiful and the die cut provides the illusion of movement. Thanks for sharing at Less is More! 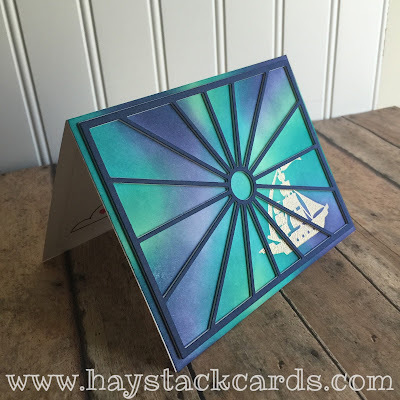 Gorgeous card Jen! I love your ink work it looks wonderful. I love these colours, my absolute favourites. Don't forget, at Less is More we prefer to see more white space left on our participants' entries. A fabulously effective card though. No white space on this one, but wow what an impact this card has!